Bo Bryan is our Production Manager for our Fire & Water Department. Bo has certifications from the Institute of Inspection Cleaning and Restoration Certification(IICRC) certified: Water Damage Restoration Technician(WRT), Applied Structural Drying(ASD), Applied Microbial Remediation Technician(ARMT), UFT, Alabama Lead Base Paint Renovator & CCT certified. 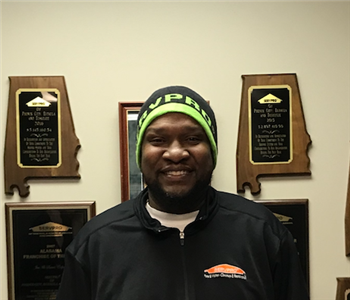 Bo has been with SERVPRO of Lee County since 2007 and is a very valuable asset to our organization. 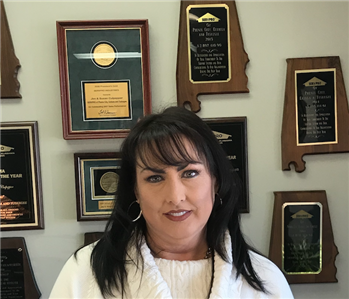 Lynn Smith is our Key Accounts/Operations Manager and has been with SERVPRO of Lee County since 2009, she has the following certifications: Institute of Inspection Cleaning and Restoration Certification(IICRC): Water Damage Restoration Technician(WRT), Fire & Smoke Restoration Technician (FRST). She is a driving force of our organization. Her customers love her commitment in making sure their jobs are handled correctly. 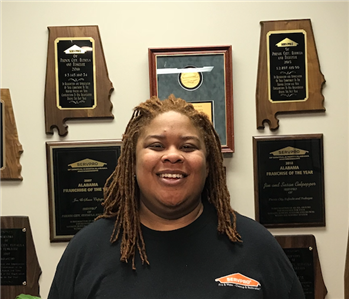 Tammie is a Crew Chief with our Fire Team and she has been with SERVPRO of Lee County since 2014. 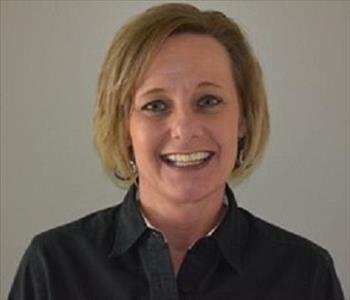 Tammie has been in the cleaning industry for over 20 years and she is great with our customers. 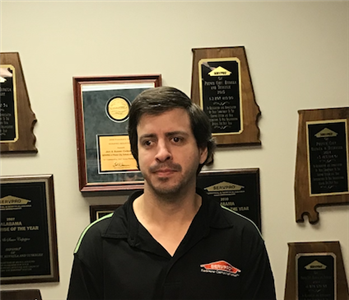 Chris is a Production Technician with our Fire & Water Team and he has been with SERVPRO of Lee County since 2013. Chris always has a smile on his face and is ready to help the customer. 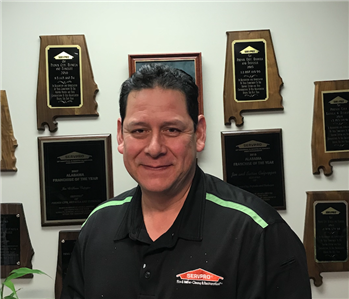 Tony is a Crew Chief with our Carpet/Upholstery/Hard Tile Team and has been with SERVPRO of Lee County since 2014. Tony has spearheaded several of our large carpet cleaning jobs and he is great with our customers. 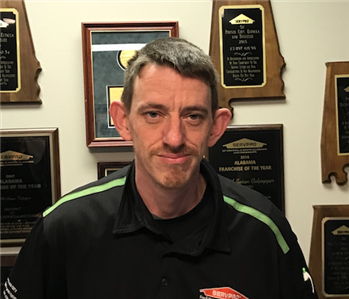 Heath is a Senior Crew Chief with our Water & Fire Team and has been with SERVPRO since 2014 and has the following certifications: Institute of Inspection Cleaning and Restoration Certification(IICRC): Water Damage Restoration Technician(WRT). He came to us as a green rookie and has grown into a very valuable team member. He was voted Employee of the Month in January 2016. Best known as "Doc" to everyone. 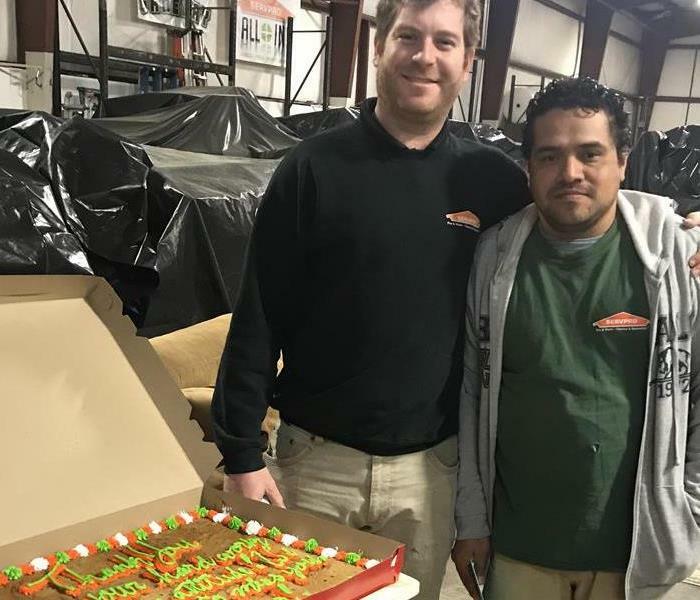 He is a Production Technician with our Carpet/Upholstery/Hard Tile Team and has been with SERVPRO since 2007. 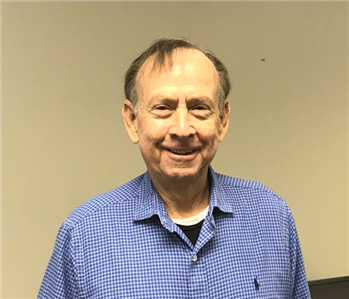 Doc has been employed with the Culpepper family for over 30 years and has extensive knowledge in cleaning just about anything. 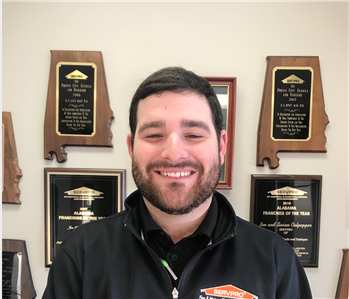 Sam is a Sales & Marketing Representative and has been with SERVPRO of Lee County since 2012. Sam started off in our Production Department and moved over to Sales & Marketing. Sam has the following certifications: Institute of Inspection Cleaning and Restoration Certification(IICRC): Water Removal Technician(WRT). He is very knowledgeable in our business. He is active in the local Chamber of Commerce and has a great working relationship with all our local insurance carriers. Rayven is a job file coordinator. She has been with us since 2015. Rayven started off in our Fire Department, but we quickly realized she would be a great asset to our Office Team. She is great with our customers and is a key part of our Marketing Team. Susan is our Office Manager and she has been with us since 2010. 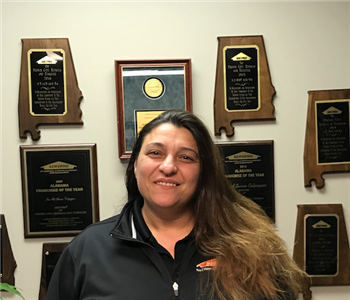 She is one of our most dedicated employees and she is always there to do whatever needs to be done to make sure our customers are taken care of. She also goes on our large loss jobs when needed. 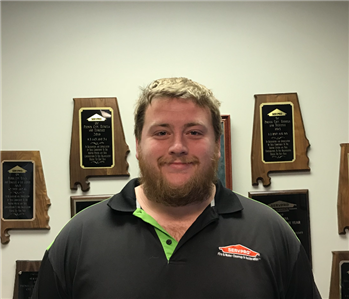 Tyler Spalding is our Warehouse Foreman and has been with our team since October of 2016. 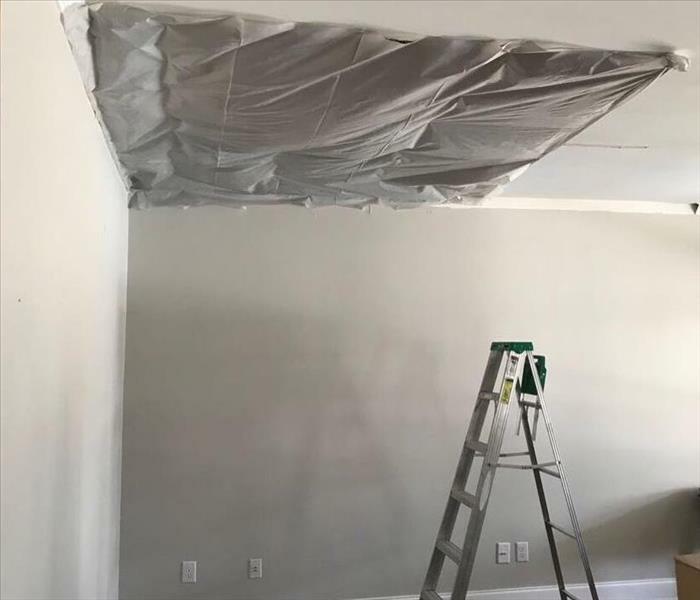 He is also certified by the Institute of Inspection Cleaning and Restoration Certification(IICRC) as a Water Damage Restoration Technician(WRT). Tyler is huge asset to our team with his positive energy and friendly smile he brings to work everyday. Dennis, or better known as Butch, started with us in March of 2018. Fun fact: He and Scott are brothers! He is a dedicated employee who we can always count on!